Chewbacca Mask Lady Sings Incredible Rendition Of "Power In The Blood"
Candace Payne has had a meteoric rise to fame, and all down to a Chewbacca mask. She originally released the video of her trying on the mask, and laughing hysterically, to her facebook friends - but it went completely nuts, and is now one of the most viewed facebook videos in the history of the social media phenomenon. It has since emerged that she is a Christian, and has talked openly about how God has impacted her throughout her life. She is also a worship leader, and can be seen in this video performing a powerful rendition of the old hymn "Power In The Blood." "Would you be whiter, much whiter than snow? There’s wonderful power in the blood." 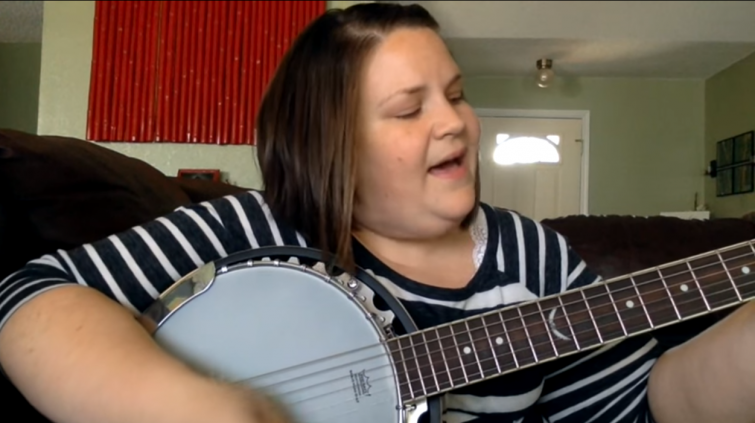 Watch her sing this gospel-centered song below.